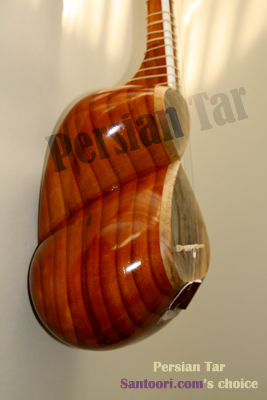 You search for a Persian Tar aroud $600 or less. No worries, thanks to Parham Nassehpoor, we plan an individual program based on your financial standing. Leave it to our collaborator Parham and he will meet the best option for you. Since 2012 Santoori decided to offer for all those people, who can not afford expensive Persian Tars, the individual program based on your financial standing. Even these Tar instruments will be surveyed and picked up by our master Tar player Parham Nassehpoor. Thanks for his nice cooperation we can provide you a Tar, which is not very expensive but simultaneously will meet your wishes. Parham will explore many economy class Persian Tars and will choose you the best one under all Tars of this price class. After that we will send you some pictures and audio samples so that you feel which instrument you are going to purchase. 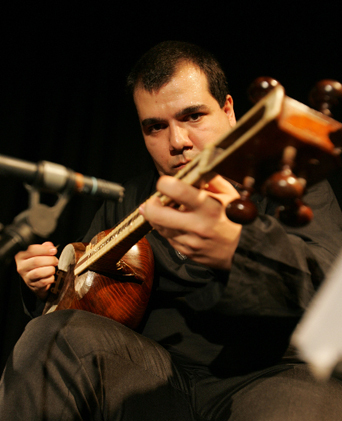 Then Parham will adjust your instrument on frets, bridge, skin and strings for the best performance. Your instrument will be sent then in a ready to play condition. Most explicitly says Santoori his thanks to the affectionate cooperation and unbeatable service of Parham Nassehpoor for the adjustment.